The wait is finally over as one of the most anticipated romantic comedies of the year premieres! What's Wrong With Secretary Kim is here to impress and become a favourite webtoon adaption. 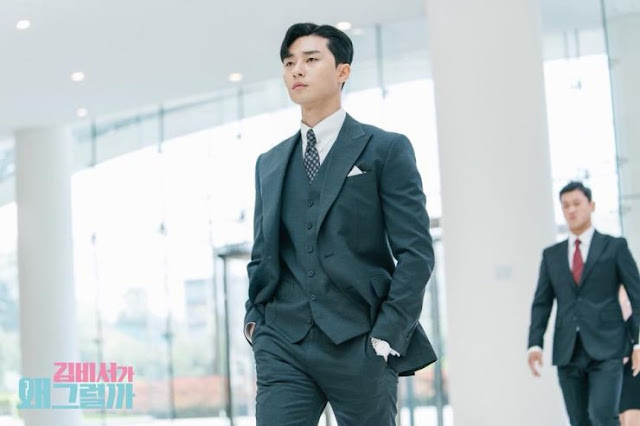 Lee Young Joon (Park Seo Joon) is one of the youngest CEOs and Vice President to a large corporation, considered perfect and successful in every way and he knows it. 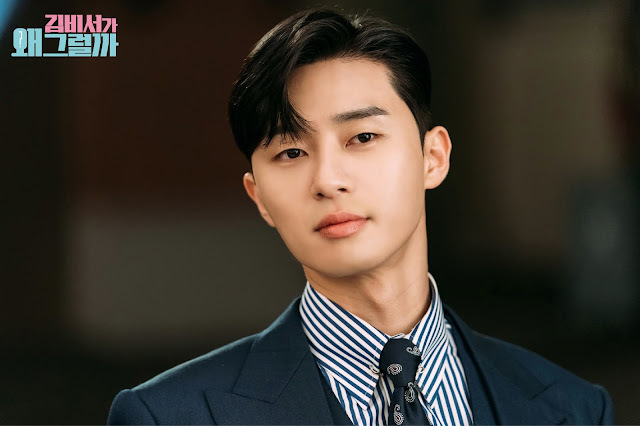 Narcissistic and non-approachable, the only person allowed near him is his trustful Secretary, Kim Mi So (Park Min Young) who's skillful enough to adapt and bear with his self-absorbed attitude. 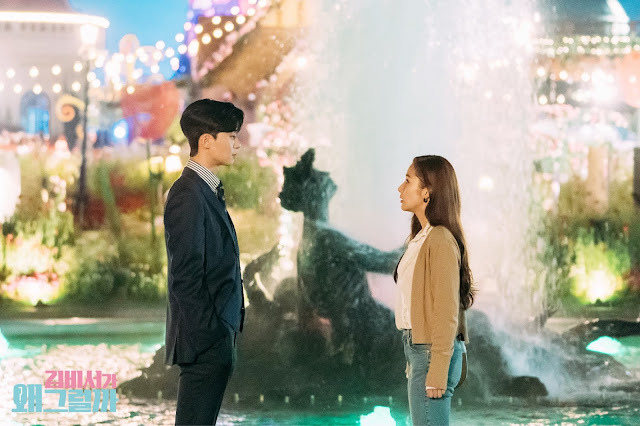 After serving him for nine years, she suddenly notifies him of her desire to resign from her position, throwing Young Joon off guard and turning his life upside down. The narcissistic Vice President does all he can to prevent her from leaving, discovering her reason for quitting to be something he didn't quite expect and causes all kinds of misunderstandings that stem from his vanity and lack of human insight. 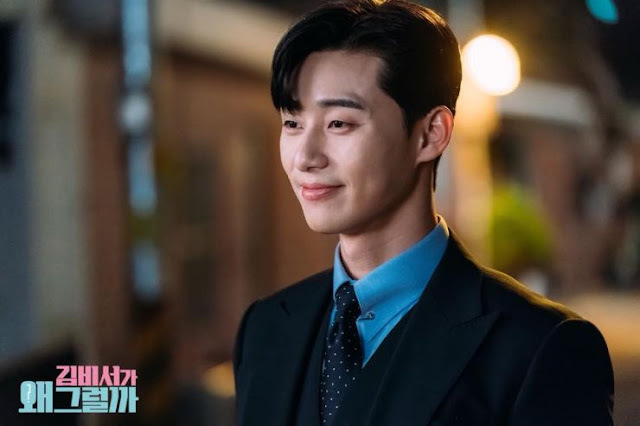 Young Joon thinks he's an integral part of Mi So's life, believing to have created memories together but her take on their work relationship is the exact opposite. 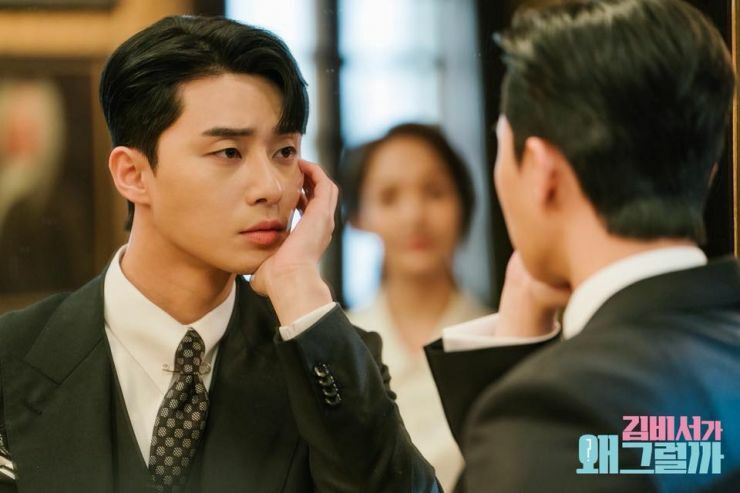 Disclaimer: This is probably the most anticipated drama for me so far this year, so this review is going to be froth with bias opinions and lots of positive feedback. I've waited too long for this and have been looking forward to it ever since the leads were announced! So right off the bat, one of the reasons to simply check the drama out is for the main leads. 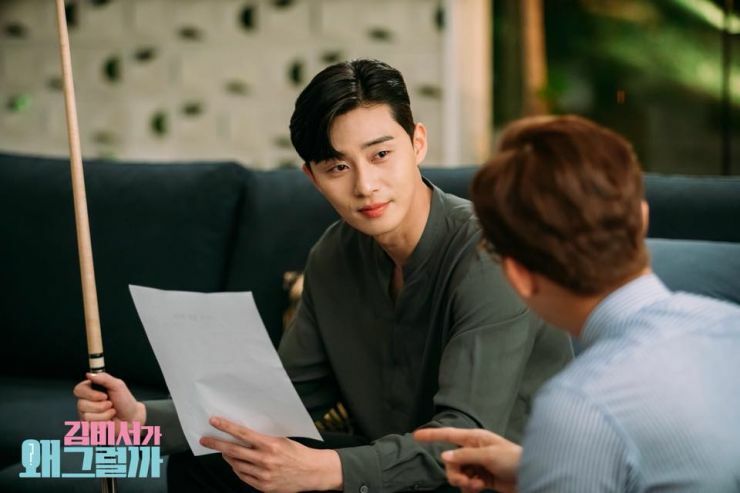 Park Seo Joon is on his way to establishing himself as a Rom-Com King, many of his previous projects receiving positive feedback and are madly successful. Park Min Young on the other hand, needs no vouching for since she's an actress who can make you weep through her performances in melodramas. Together, this couple is simply a blessing to both the eyes and acting with their onscreen presence. One of the main things both of them stressed while filming and highlighted during the drama's conference is their chemistry. 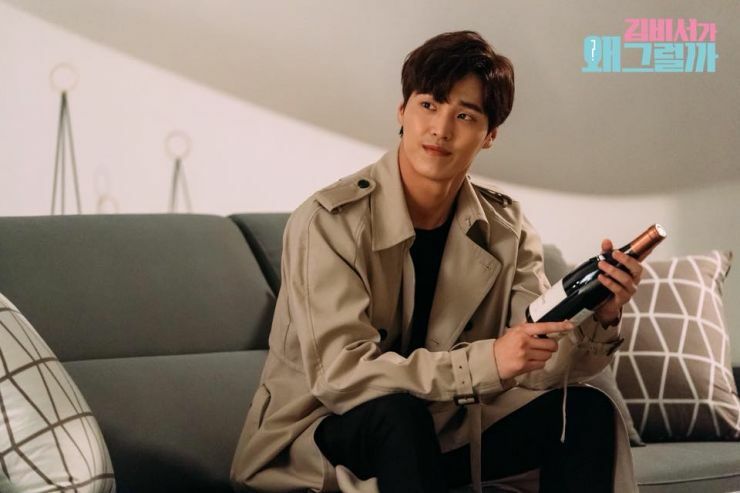 As a Rom-Com and coveted webtoon, the couple has to really make their interactions seamless and exude great chemistry in order to make people invest in a show that on the surface, seems like a story we've seen on multiple occasions. To have us all form an affinity for them as individuals and as a romantic duo is a feat they seem to have already accomplished in the first episode. And that brings me to my next reason to watch this, the plot. 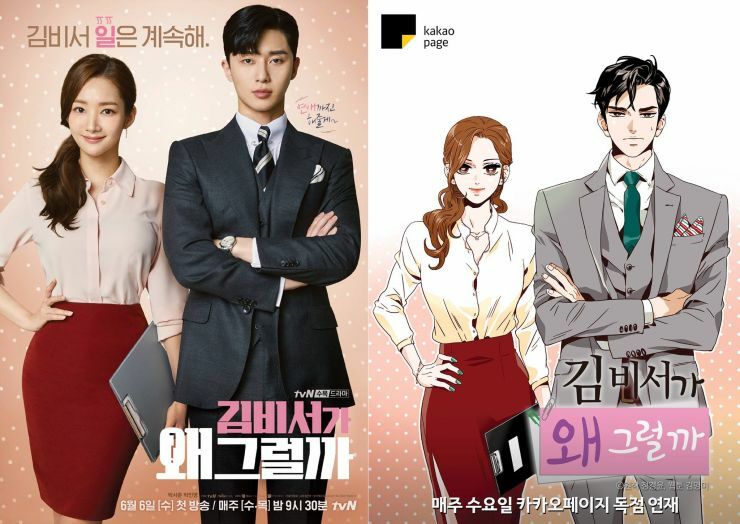 I actually went ahead and read the first 3 available episodes/chapters of the webtoon that were translated in English (extremely difficult to find in fact) to use as a source of reference to see if the drama would really reflect the webtoon and mark itself as an adaption, and I was pleasantly surprised. It's pretty much by the book, the first episode alone covering so much of the substance material in the webtoon but even the smallest of details like the actors' appearances such as clothing and character traits pay homage to the webtoon. 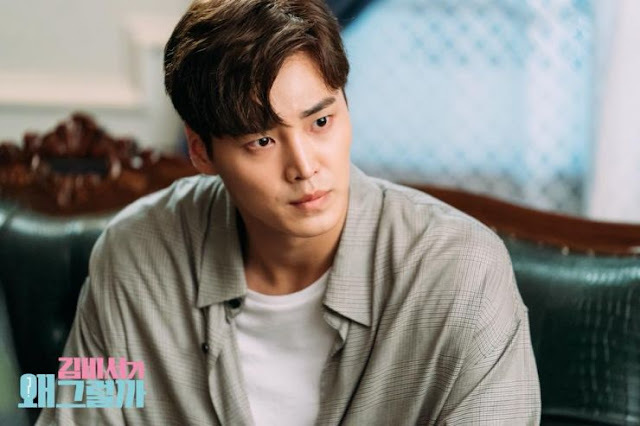 Fans of the original material will no doubt be pleased and considering previous adaptions that tanked, it's nice to see a production team and script Writer who want to bring a webtoon to life instead of deviating from it to create some morbid byproduct. As a Rom-Com on it's own, it also comes on strong since the pace is swift so we're not dealing with agonizing character introductions as the drama basically assumes viewers are going to be webtoon fans or have done their homework at least as it delves right into the heart of things. It's not difficult to follow either, since it's simplistic in what it's delivering so like all true Rom-Coms, it's light and fun but with likeable characters that are witty and fresh. And coming from the Director of Because This Is My First Life, I expect depth and a level of realism that other Rom-Coms won't be able to shed. Someone also needs to give the sound Director a raise! The additional animal sounds and perfectly-timed sound effects make it an even more enjoyable experience. Classic TvN. People who have never encountered either the leads or the webtoon probably wonder why they should even bother with a drama that appears to give us another Jugglers but it's nothing like it or other office romances out there. Young Joon as a CEO respects and highly values his Secretary whereas in other dramas, male leads tend to disregard or are downright mean and cold to their Secretaries before sparks fly and love is in the air. Young Joon fits the definition of a narcissist but he's also simple minded and feels emotionally about being separated from Mi So. There's traces of arrogance, but that comes from his self-regard and isn't directed at his Secretary by means of aggression and blatant anger. He's also drawn out more realistically in the sense that he does function professionally as a Vice President and can actually act the part unlike other rich Chaebol men in so many dramas who use their wealth to inflict pain and misery on their employees. Despite his self-appreciation that's on a whole new level, he values Mi So's work and her opinions which make her a large part of his life from the get-go. 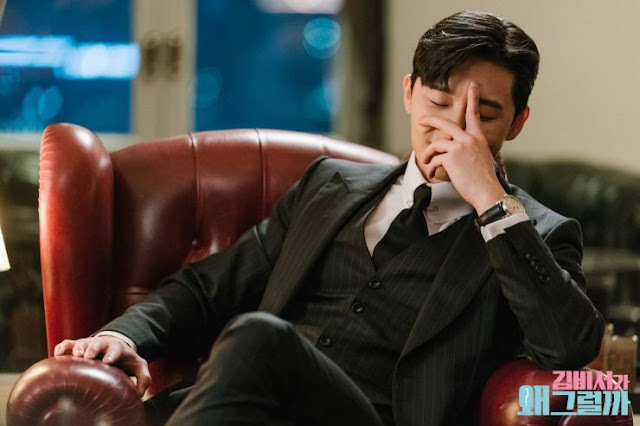 And I say it's an office drama but since Mi So resigns right from the beginning, it's going to step out of the revolving doors of a big corporate office to more personal domains. 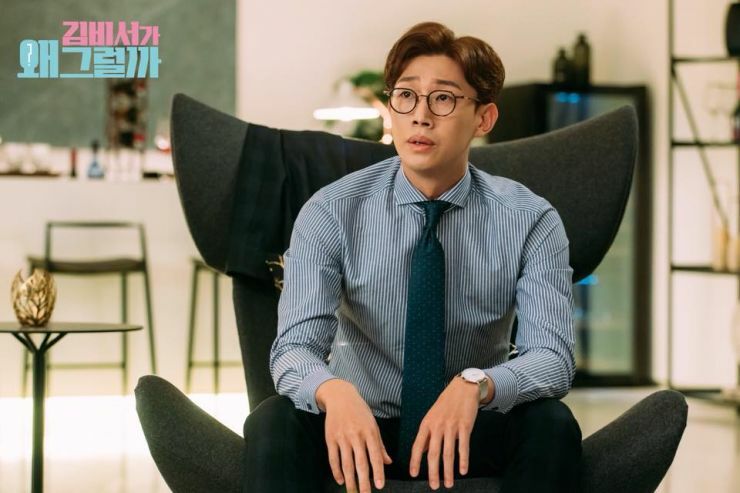 Mi So's life and that of Young Joon's become revealed as their professional exteriors break down and their lack of dating or relationships comes to light. They're both perfect career wise but when it comes to personal, everyday life, they're awkward and full of quirks that normal people wouldn't have a chance of handling. Your mid-week drama fix might just be this Rom-Com that brings a popular webtoon to life! With so many positive elements, my standards were high and are still high after What's Wrong With Secretary Kim gave a successful premiere. This will no doubt, be a summer favourite. I was looking forward to your review on this. When I first read the description of the show, I was so annoyed that there was yet another CEO/chaebol-type drama, but this one is so fresh and original! Since it's based on a novel turned webtoon, I feel at ease knowing he story has a good outline and going somewhere. I also hope it's awesomeness continues! I think we were all apprehensive and worried about this being a typical Chaebol CEO story with obvious material that's really stale at this point and so overused. My faith was in the cast and Director and it delivered which makes me so happy! I completely agree with you when you say it's going places and has a solid story with a fun and popular webtoon to base it off of.